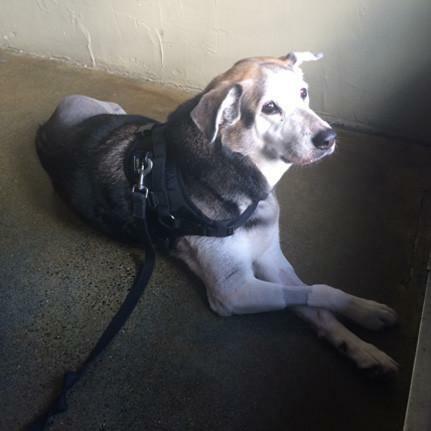 “My 10-year old husky/shepherd/lab mix Chuck is my faithful companion wherever I go. If dogs are allowed, she comes with me! As she aged and discomfort took hold in her back, the walk became harder for her, and her limp became more pronounced. Soon I could only take her on one or two long walks a week, as the activity took its toll on her back and she needed longer to recover. Chuck got significantly better from using Treatibles. It took about three days of administering the chews 2-3 ad/day to see the full effect, but she did get noticeably more comfortable on the first day. Before Treatibles, she limped and couldn’t enjoy long walks, though she clearly had the desire for them. Once she started them, she could leap around again! She started doing her play bows again, and wanting to play! She chased squirrels and pranced around the park! THIS was the new dog I’d been told I’d see! We ran out of the chews a few times, and sure enough, she reverted right back to an uncomfortable limp and had trouble getting up and down stairs unassisted. When Chuck was later diagnosed with irregular cells in her bones, I was doubly thankful for Treatibles. We offer them to her 4 – 6 times a day since she had her leg amputated. She is tolerating chemo well and still has all of the energy of a much younger dog. These are NECESSARY for her! She’s not high or out of it, she’s not panting or in discomfort, she is energized and well enough to gallop to the park on three legs! Her chemo treatments are much easier for her. If you have an elderly dog experiencing discomfort, I cannot recommend these chews enough. You will see a BIG difference. Like night and day.